When Canadian electro-pop artist K-Bust travelled to Germany, taking that leap and experiencing new places gave her the inspiration she needed to step out of her comfort zone. By stepping out of that comfort zone, she created Fearless. A self-taught musician, she studied classical piano before establishing her skills as a composer and lyricist. Her first release, Urban Stories, was released in 2012 and gained airplay on mainstream radio stations in Chile and college radio stations throughout the United States and Canada. The mix of R&B, soul and pop kept her from being tied down to one genre, and proved her abilities as she wrote the majority of the songs. Her journey to the sound of electro-pop started with the Germany trip in 2014. She dove into electronic sounds that didn’t completely exist on Urban Stories, and became bolder in her lyricism. “I co-wrote every song with my producer, crafting the overall sound of it, telling my personal journey throughout it, my fears, my ghosts and demons,” she said in a press release. Fearless was entirely produced by Albert Chambers, a Juno Award-nominated music producer from Montreal. From “Fight (The Fear)”, the track that inspired the album title, to “Shoot”, the initial track that speaks of testing the strength of a relationship. The most mesmerizing track is “Torn”, which she dropped the music video for at the beginning of the year. The message behind the lyrics is one of a toxic relationship that has reached a point beyond saving. The video is a black-and-white collection of piano keys and broken glass that capture the feeling of each emotion and add a new layer to its complexity. It’s clear she has taken the meaning of the word “fearless” to heart – each track is cohesive while at the same time carries its own qualities that make it personal to her yet gives the listener the opportunity to make it personal to them. Her musical influences of Madonna and David Bowie are heard loud and clear but she also mixes in the vocal range that can transport the listener into an animated Disney film. 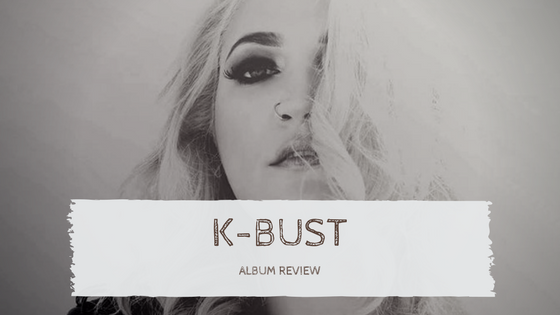 K-Bust’s Fearless is an album that proves to be an electrifying showcase of her ability to interweave genres and musical influences. By delving into new experiences and bringing forth new sounds, these 11 tracks get better with each repeated play.